I've been experimenting with my family lately. Or is it, experimenting on my family? In either case, I've got the data to confirm something I wrote in a 2011 article. But before I tell you what I did, first let me show you what happened. Here is Exhibit A: A Moisture Mystery. What do you think happened to cause the humidity (blue data) in the air in our condo to rise like that? Why did the humidity spike? The graph above shows the temperature and dew point, measured with a data logger on the main return grille in the living room, from early August to early September. The indoor temperature in our condo stayed mostly around 75° F, with a few excursions when we adjusted the thermostat. But the humidity showed something really interesting. I finally started showering and then got freaked out and stopped. I showered without using the bath fan. I brought in a lot of outdoor air for ventilation. Well, it was none of the above. The answer is given in the two graphs below. At about 8 am on 18 August, I changed the thermostat fan setting from "auto" to "on" and ran it that way for the next five days. As you can see in the graph above, the relative humidity (RH) also spiked and averaged 70% during the time the fan was running continuously. Why did the RH and dew point go up? While the air conditioning cycle was running, the indoor coil got cold. Water vapor from the air passing over it would condense on the coil. When the compressor turned off, the coil would warm up. The water remaining on the coil normally would just sit there until the next cycle, with some of it evaporating and sitting in the air inside the coil housing. But with the fan running continuously, the air passing over the coil as it warmed up would evaporate that water and put it right back into the house. Keeping the relative humidity at 70% is not a good thing. That's about the threshold where mold can really take off. If we left our thermostat set to the fan-on position all summer, I'm sure we'd have a mold factory in our condo. So if you've been told to run the fan continuously by someone who sold you an electrostatic filter, UV lights, or some other indoor air quality device, you may not have been given the complete story on how such products affect the IAQ in your home. The higher relative humidity also meant that our home was less comfortable. We average about 58-59% with the fan set to auto, and even that's not ideal. The main reason for that is the short runtimes of our air conditioner, which I wrote about last week. The graph above shows the dew point data by themselves with the mean values before, during, and after the fan-on period. One thing that surprised me was how quickly the humidity rose when I changed the thermostat. Within minutes, I noticed the RH reading moving up. But getting back to RH levels below 60% took a couple of days after I switched it back to the "auto" position. If you're in a humid climate, you may push the air in your home into the mold-growing range of relative humidity, especially if your air conditioner is oversized. Your energy bills will be higher. 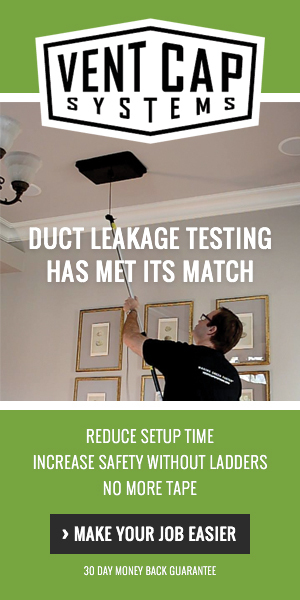 You'll increase your total duct leakage because the fan will be running all the time. If you have unbalanced duct leakage, you may also increase the air leakage across your building enclosure. Don't believe me? Do the experiment yourself. Looks like there'd be a great business opportunity recording readings, downsizing AC systems and recording the improvements. OK. So I'm thinking about normal a/c operation with the fan on AUTO and then compared to the condition when the fan is set to ON. NORMAL, FAN AUTO: The cooling load varies with external temp and humidity. When the a/c runs, air circulates. As it passes the evaporator, moisture in the air condenses and drains to the house plumbing drains. When the a/c shuts off, the residual moisture not already drained sits there in a dead air plenum until the next cycle. Because it has a long time to sit and drain before the fan comes on again, little of this moisture is re-evaporated. FAN ON: The thermostat controls to temperature. The external load is unchanged and we experience a rise in RH per your graphs. Consider two possible causes: 1) Duct leakage pulls in more outside air. 2) Short run times of the oversized a/c causes condensate at the evaporator to re-evaporate due to the fan's ON continuous operation. Case 1: Duct leakage did it. Since more humidity is entering the space, more moisture will be extracted by the a/c and this amount will show up as increased drainage. The a/c would have to run longer to handle the increased load but there's no mechanism to predict a RH change. Case 2: Some condensate didn't drain but re-evaporated. The a/c runs short cycles due to oversizing. The temp is satisfied before adequate dehumidification occurs. When the a/c shuts off, the fan (ON) re-evaporates the not yet drained condensate. The space reaches a new RH equilibrium in this mode and the moisture drained decreases by an amount equal to the moisture stored in the interior space plus that absorbed by the surfaces and materials in the dwelling. So case 2 contains a mechanism for RH increase. The verification would be a decreased volume of condensate going down the drain. Sounds reasonable. So, I'm wondering: is the drain line accessible so we can confirm the expected drainage decrease? I'm not requesting a re-run of the experiment. Just checking on my understanding and the logic. If I'm getting it wrong, I'd welcome your kind guidance. Regards. Another great article, Allison. Always good to see actual data! Here's another consideration... When ducts are located in a vented attic, running continuous fan will increase cooling loads as attic heat is transferred to the house. But there's one caveat to this... in low-load homes with ducts inside the envelope, there's a thermal (comfort) benefit to continuous fan especially during part load conditions. This is also useful for fan-integrated ventilation systems. I would only do this with a variable speed air handler or furnace, which typically have a continuous fan setting that's much lower CFM and more efficient, typically drawing less than 100 watts at 50% of nominal airflow. That's a far cry from the 400+ wattage of the typical PSC blower. That said, even with the lower airflow, continuous fan could raise RH in humid climates. A simple timer can be used to disable the fan at the end of each cooling call for several minutes, thus allowing the coil to dry. A client told me his thermostat has that feature but I can't find the reference now. If anyone knows of thermostats that do this, please share! I dont think the quality air filter guys are going to like this message. Oh keep your fan in the on position..you can do more cleaning of the air this way. I hope this outcome didn't surprise you; that the "experiment" was done only in the interest of science. If possible, I suggest supplementing the article with a graph showing RH...that may speak more clearly to those of us less conversant with dewpoint. The way I explain this to clients I "catch" with fans set for "on" is to explain that, to a back-of-envelope degree of accuracy, a typical high efficiency AHU coil has approximately 100 square feet of surface area PER TON of installed capacity. That figure arises from calculating the surface area exposed to airflow based on the length, width and depth of the coil, how many rows of tubes it has, and the number of fins per inch. Every last square inch of all that metal gets wet if the coil runs at or below dew point, which it does nearly everywhere other than the arid West. Keeping the fan on after compressor stops dries all that metal back into the home's air. Unfortunately I find myself up against a well-entrenched money-grubbing interest on this one; namely those flogging high-margin dubious-efficacy IAQ add-ons to air handlers. It is hard to claim a $1500-2500 combination of hot and cold running UV lights, HEPA hokum, and electrostatic precipitator is worth a flip if much of the time no air flows through it (as with blower properly set for "auto"), so these hucksters are forced to recommend fan "on" and trumpet the fact that ECM blowers are relatively frugal at low "fan on" speeds. I've had these people look me in the eye and claim a short (30-90 seconds) "operational pause" allows the wet coil to miraculously drain and dry, readying the AHU to become an IAQ superpower with no humidity penalty whatsoever. Given that it takes at least minutes for the coil to get wet enough to flow condensate, it sure as heck isn't gonna drain dry in a minute, but that fact does not deter IAQ snake-oil sellers. If any ducts or air handler is in unconditioned space, that increases the folly of continuous fan for the reasons you cite. Colin G.: And don't forget that the duct system needs to be replaced with a properly designed and commissioned system, too! w d: It's mainly your case 2. The constant flow of air over a coil that warms up and has water sitting on it evaporates the moisture right back into the air and sends it back into the home. David B.: Good point about the low-load homes with ducts inside. : Our ducts are nominally inside, since they're in the lowered ceiling in the hallway. But we do have significant leakage to outdoors, a lot of which probably benefits our upstairs neighbor. No, it's not a variable speed system. I think most of the effect is due to the evaporation of condensate left on the coil when the compressor goes off. chuck: No, they certainly won't. See Curt's comment right below yours. Curt K.: Not a surprise at all. I was confirming what I wrote in an article on this topic 3 years ago. The RH graph is right in the middle of the article. Excellent point about running the fan continuously for expensive IAQ equipment. It kills me to go into a house and see that someone has been sold the UV/HEPA/electrostatic solutions, yet they have a moldy crawl space open to the basement or some other IAQ building enclosure problem that was never addressed. Does it bother you that, with Fan Auto, your humidity %s are normally 55-65%, whereas the EPA "ideal" value for humidity is 30-50%? Martin: Yeah, most of the time we run 55-60% RH because of our oversized AC. We're not growing mold, though, and I'm going to do something about the AC size problem before next summer. Ideally I'd like to be 45-50% RH. Grrrrrrr. Ok so we had our AC replaced last year when the 14 year old system in our house died. I cannot tell you the number of things they told me that was incorrect but I can tell you I am second guessing renewing service contracts with them. This was one of the lines they gave me that I had enough sense to test myself. Our duct system needs a full on replacement, its all flex duct, runs through unconditioned space (garage) and some of the ducts I know are horribly restricted and need total re-routing namely the 4 in our basement (where the air handler is coincidentally). The old system had been overloaded, installed back when the home was built and the basement was unfinished. So heated SF went from 1500 to nearly 3000. In addition to that it had a very weak blower, for example in our living room you could put a sheet of paper on the register and the AC would barely be able to lift it and blow it off. So the old system ran non stop on hot days. The new system on the other hand could make Marilyn Monroe blush with its blower strength. Anyway, shortly after the new install I noticed that the house was more humid than before. When they AC company came back for their 30 day followup I mentioned the increased humidity (went from avg of 36% to 48%. I asked them if they could adjust the settings so when the blower was manually on that it would blow at higher CFM (manually on it barley blows). Their advice was turn the fan to ON so it ran slow all the time. They said that would make things LESS humid. Being from a family that had some people with AC experience I knew better than that so I did not take the advice, though we had been using the Circulate setting on our thermostat (Honeywell) that does kick the fan on during the day extra because of the bad basement ducts (8" ducts that barely move air when the upstairs is as I mentioned). I will cease doing that now since it is likely that is partly to blame for the increase in humidity. I so hate when the 'professionals' we all count on give bad advice. It would be nice when you drop nearly $10k with a company with a stellar reputation if they lived up to it. Unfortunately it seems the reputation is based on the feedback of people who don't know any better. I have had the same results here in Lincoln, NE. My brick ranch home was built in 1976, not well insulated (R11 walls poorly installed) or particularly tight. I have added attic insulation to R38, new, cheap, argon filled, dual pane vinyl windows, sealed all accessible duct work in the basement and crawl space, a new front door, and caulked a bit since moving here 10 years ago. I had a high efficiency furnace (96%, 70K BTU Goodman) and coil with a variable speed fan installed about 7 years ago to replace a 30 year old GE furnace (150K BTU). The outdoor condenser wasn't that old at the time (10 SEER) so I didn't replace it due to budgetary constraints. I was initially told by the installer that I would get higher efficiency out of the AC side if I ran the fan continuously during summer use. After all, it would only be about $2-$3 a month to run it continuously. What I found was that the humidity was around 60% to 65% and sticky at my frugal (some would say cheap) 75 to 77 degree thermostat setting with the fan in the On postion. My family was frequently wanting a lower thermostat setting to be more comfortable. I wanted lower electrical bills. Once I turned the fan to Auto setting instead of On the past 2 summers, I have been able to leave the thermostat at 78 and have 40-50% humidity levels in the house, and everyone is more comfortable, and my electric bills are lower. I don't have any high tech measuring devices beyond a couple of digital home thermometers with humidity readouts, but those numbers support the "real feel" in the house and your argument in this article. @ Alison - Are you able to reduce CFM per ton? A rule of thumb suggests we configure air conditioning to provide a 20 delta from return to supply. I have mine configured to provide 23*F, and that results in RH of 45% pretty much all summer. That in turn allows us to be comfortable at setpoints of 77-78, which would never fly at RH 55-60. Consider a six or so inch bypass duct (supply to return) include in it a motor damper (a good 3 wire one with a Belimo 24-3 actuator or similar). Use a thermostat with an integrated humidity contact such as a Honeywell 8320u1097 (if memory serves). Have it open the damper whenever in cooling mode and humidity exceeds setpoint. The Belimo damper has an easily adjusted full open stop to allow for field adjustment. It would be about a $300 bandside, plus labor. Brent B.: Thanks for sharing your experience. I'm amazed how many HVAC techs recommend that people do this. I'm sure they're the same ones who tell people to set the heat pump thermostat to emergency heat in winter. Curt K.: Reducing cfm/ton is my next step, which may include doing what John Proctor recommended in the comments of my last article: replacing the condensing unit with a 1.5 ton model. If I can't get the cycle times up and the RH down doing that, the bypass is probably worth looking at here. Thanks for the suggestions! Depending upon the age and SEER of the system, replacing only the compressor might be an option, though not an officially sanctioned alternative. It would take an HVAC tech willing to think a bit out of the box. If your air handler is compatible with a 1.5 ton system via a jumper change, that will help immensely. Allison, nice set of data. Gary Nelson measured the same thing in his office building. Hugh Henderson measured the same thing many times. We ought to have a consensus by now, but the filter people and some ventilation people insist on their concept of physics. By the way it is much easier to reduce airflow than to install a (yuck) bypass. @Martin, the EPA recommendation of 30%-50% RH refers to winter and summer. I think the 30% is simply an acknowledgement that the typical leaky home experiences excessive drying in winter. No one would argue that 30% is desirable! In any case, the EPA isn't an authority on comfort standards. The preponderance of literature, including ASHRAE, cite 40%-60% as the ideal comfort range. Best practice for cooling mode (where there's a cost associated with dehumidification) is between 50% and 60%. Most people can't tell the difference within this range so there's not likely to be any benefit to mechanically reducing RH any lower than that. It's also important to recognize that people have different comfort sensitivities. For example, when I lived in the southeast, I set my stat at 76 or 77 during the day (I work at home) with RH typically in mid-50's. I found this to be perfect. I moved to Arizona about 8 years ago. What surprised me is that I still need to maintain 77F in cooling mode to be comfortable, even when indoor RH is as low as 30%! I work for a major residential AC manufacturer, and based on some past research, I claim that there are a couple of additional myths in this discussion. The first myth is that water on the coil will drain if the blower is turned off for a couple of minutes. Our tests show that this is not true. Surface tension (capillary action) is what causes the moisture to stay on the coil and turning the blower on or off has little impact on that. Secondly, systems begin dehumidifying and cooling at the same time during start up. If you start with a dry coil, it will take up to 10 minutes to see condensate at the drain because of the large moisture holding capacity of the coil (easily one or two pounds), but the moisture is still being removed from the air. If the system starts with a wet coil, which is typical if the fan is not running continuously, the condensate will start to flow from the drain right away. By the way, there is at least one thermostat on the market that senses indoor humidity and can be set up to temporarily override continuous fan operation whenever the indoor humidity exceeds a setpoint. Thus, you can have your cake (filtration or circulation) and eat it too. A suggested enhancement to your data logging procedure: get a Fieldpiece SPD2 dual probe digital psychrometer (that is, if you don't have one already). You will love this thing and what it can tell you about real time HVAC operation. Next, insert one probe in the supply duct and the other in the return. When the compressor cycles off, with the indoor blower still running, watch the supply air dew point and/or wet bulb, and also the return dew point and/or wet bulb. Supply air dew point should rocket skyward after compressor shutdown/blower on, and slowly decrease towad return air dew point as coil drys off. Another thought I had this morning is when the blower is running constantly, and your indoor humidity is elevated as a result, if the compressor run times are longer with the blower set to "on" than under similar outdoor air temperatures and humidity with the blower in "auto". Reason I say this is more of coil heat removal should go to latent, reducing sensible capacity, which would result in an increase of run time to lower sensible temp in the condo. @Roy wrote: "The first myth is that water on the coil will drain if the blower is turned off for a couple of minutes. Our tests show that this is not true. Surface tension (capillary action) is what causes the moisture to stay on the coil and turning the blower on or off has little impact on that." This is an important point. When blower is set to auto, you're saying that most of the residual water will remain on the coil surface until the next cycle, which will then accelerate latent mode operation at the beginning of the next cycle. And if the blower remains on, even after all the water that's going to drain, drains, the fan will increase re-evaporation. This argues against my earlier point that low wattage continuous fan may be acceptable if fan is turned off for several minutes at the end of the cycle. Thanks for clearing that up. I also question some of the comments about the impact of equipment "oversizing" on humidity control. Modern equipment (13 SEER and above) are designed to have very low cycling losses which also results in little degradation in latent capacity during cycling. It is the same issue that when you cool humid air, you also dehumidify it. You can't do one without the other. In fact, a field study was conducted by the Florida Solar Energy Center several years ago where they monitored several existing houses with so-called oversized equipment and then replaced them with "properly sized" equipment. They found no improvement in humidity control with the new equipment, in fact, it was slightly worse in some cases. Most of the homeowners wanted their old equipment back after the study since the new equipment did not provide as good of response in terms of temperature recovery. Roy: I did a quick search and can't find the link yet, but that FSEC study you're referring to did find that dehumidification didn't show the improvement they expected when they replaced oversized air conditioners with right-sized units. As I recall, though, they concluded that the cause was more duct leakage because of longer runtimes, not because the oversized equipment was just as good at controlling latent loads. But maybe you can confirm something else I've heard (but haven't looked up). A friend told me earlier this year that newer equipment has significantly decreased spacing between the fins. True? If so, how much? And how has that affected the capacity of the coil for holding water? I imagine that, if true, the holding capacity must be greater because of the smaller capillaries. Allison: I am not sure if there is a "trend" towards decreased fin spacing. All of the manufacturers are continually optimizing their designs to get better performance within the current space constraints, and fin spacing is an important design parameter. Regardless of future indoor coil design trends, continous fan operation in hot humid climates will continue to cause problems. As for the FSEC study, they only hypothesized about the potential duct leakage impact. They did not collect data to confirm it. I wish that there would have been a follow up study on this. However, our internal experiments and analyses indicate that equipment cycling, within reasonable limits, does not significantly impact latent capacity, unless you leave the fan running during the off cycle. Next time you focus on this issue you might include the “data” that the average residential cooling coil stores about 2 pounds of water between the air side fins and it takes about 20 minutes of compressor run time before more than a dribble of water comes out of the drain pan. Also the evap cooling effect increases sensible Btus which further reduces run time. I particularly like your comments on the behavior of wet coils and dry coils and what happens with drainage. Does the work at your A/C manufacturer include measuring the condensate with various modes of operation? I can see there would be difficulty quantifying the amount left on a wet evaporator but it's such an accessible data source and at the drain, easily measured. The fact that 1 or 2 pounds of water can easily be on the coil is strong reinforcement for Allison's analysis and conclusion that condensate is re-evaporating and increasing RH. I'm not sure what it says about duct leakage bringing in additional moisture for the graphs shown, however. Don wrote: "the evap cooling effect increases sensible Btus which further reduces run time." Spot on. In fact, in dry climates where indoor RH is never an issue, we get additional "free" sensible capacity during monsoon season by setting blower to run several minutes past the end of each cooling cycle. Thanks for sharing your wisdom here, Don! For those who may not know, Don Gatley is a psychrometrics sage, ASHRAE Fellow, and the author of Understanding Psychrometrics. I'm lucky enough to get together with him for lunch every once in a while, and he's also spoken to two or three of our HERS rater classes. Allison, I just purchased Don's book "Understanding Psychrometrics" and it is a mind blowing, incredible resource. That is one lunchtime session I'd love to sit in on. Does he attend summer camp? I am teaching psychrometrics again this semester as part of our college HVAC program's residential system design class. I'm also working in basic building science as I can, and have told my students about your blog. They need to know there's a lot more to human comfort and indoor climate control than what is commonly taught in school and learned in the field. w.d. : We do measure condensate at the drain as well as the inlet and outlet air temperatures and humidities. At steady-state conditions with a wet coil, you can do a water vapor balance on the air stream with these measurements and it should give the same results as the condensate flow rate measurement since the amount of water taken from the air has to equal the amount leaving the drain under these conditions. When we don't have steady conditions, we can compare the air-side water vapor balance to the condensate drain measurement and then calculate the change in the amount of water on the coil. Others have done similar tests where they actual weigh the coil under wet and dry conditions to determine how much water "sticks" to the coil, and their measurements are consistent with ours. As for the impact of duct leakage, there are many more variables involved and they are very installation specific, so it's very hard to draw any general conclusions. We had one person swap out one of our old single-stage, minimum efficiency systems with one of our multi-stage, higher efficiency systems, and he claimed that he got much better humidity control. This surprised me since the SHR's on both systems are about the same. I asked him if he did anything else to the house when he swapped the systems. He initially said no, but then I finally got him to admit that he did also replace all of the ductwork at the same time. Hmmmmm. Running a bathroom fan continuously is not a poor man's ERV in that it does not recover any energy (latent or sensible) at all. It can be a poor man's solution for meeting the mechanical ventilation requirements of ASHRAE Standard 62.2. It should help dilute indoor contaminants in houses that are not terribly leaky, but it will also add humidity to the space if the outdoor dewpoint is higher than the indoor dewpoint. It can increase heating and cooling loads also. The leakiness has more to do with the impact of mechanical ventilation via an exhaust fan or other device relative to natural infiltration. If your house is really leaky, the contaminants are quite diluted already and the bathroom exhaust won't have much impact. Tight houses need the additional ventilation and if the house is small enough, a continuous bath fan might be enough. You need to read the standard to see if it will suffice. A cheap exhaust fan on a really tight house might not be able to exhaust air at its rated capacity. You would have to measure the flow with a hood to determine that. @Charles, adding to what Roy said, all mechanical ventilation systems impose an energy penalty (fan motor + sensible and latent loads). The optimal solution depends on factors such as ventilation rate, hvac operating costs, and first-cost of the ventilation system. To answer your question, no house is so tight that it would affect the operational CFM of a bath fan. The biggest factor by far is the friction loss in the duct (especially elbows, and flex). If the house is leaky, the question to ask is whether there's a need to bring in more outside air. There's a lot of debate among industry practitioners as to where to draw that line. ASHRAE 62.2 specifies an infiltration credit based on blower door test results. So if the house is above a certain threshold, no ventilation would be needed. Tim wrote: "Many of these customers have started running the fan continuously with positive results in lowering the RH." Not logical. Anecdotal reports aren't very useful, especially from homeowners. If AC isn't running, continuous fan won't affect RH one way or another unless there's duct leakage. Since these customers presumably experience same general weather, it could simply be that continuous fan coincided with drier or warmer weather. Also, if there's significant return-side leakage outside the envelope, continuous fan would accelerate drying by drawing in more (dryer) outside air. I can't imagine any other reason continuous fan could lower indoor RH. In fact some of these homes have Aerosealed duct systems and, no we don't simply rely on the Homeowner's opinions. Nor do we swallow down the opinions of self described so-called "building scientists who constantly attack our industry in an attempt to discredit HVAC professionals in order to promote their own agendas. We're supposed to be open minded and pliable with you folks but you in turn automatically assume we're all idiots and blatently and viciously attack us constantly. We just may know and understand more than you're willing to give us credit. I've seen many things in my 36 year career that I could imagine nor find logical, but nonetheless happened. And there was a time when the majority of the world's best "scientists" thought the world was flat!! How about a little reciprocal respect without methodically and purposefully accusing the entire HVAC community of being ignorant fools and liars via pompous gibberish? Wow! - what brought on that diatribe? Certainly nothing in this thread would seem to rise anywhere near your level of bile and recrimination! There are at least a half dozen other areas of trade knowledge sorely lacking, but I think I've made the point. The HVAC industry has, unfortunately, made its bed and now must lie(sweating) upon it. "In the land of the blind, a one-eyed man can be king"
I hope, Tim, that the rest of your day goes better. Pat and Tim: I am confused. It seems that we all have things to learn and having a way to discern what is really happening can be helpful. I am surprised by the attack on science. I presume it is coming from a defensive position because you feel attacked. Some people make a living making us feel under attack and defensive (politicians for example). Taking deep breath is a good idea. The Building Performance industry and the HVAC industry both have things to learn. Looking at measurements over long and short terms can help us learn what we can do better and what the opportunities are. I don't think a pitched battle is of any value to anyone except the people who make money by pitting one group against another. PS My comment also applies to name calling. @Tim, I didn't attack you, or mechanical contractors in general. I only offered my opinion. If you have an alternative explanation for what you observed or reported, I'm all ears. There are also many HERS RATERs and building scientists who have little knowledge in their field and make a lot of messes. There are many I respect immensely. I do not seek to discredit their profession by pointing out to the general public or warning against all of the practices of the few nor do I accuse them of false or misleading information as a whole according to the nightmares I've seen. I try to promote the good things I've seem and show respect for their knowledge both publicly and privately. When websites and blogs start with a discourse about HVAC professionals selling bigger equipment or make more money or doing a sloppy job installing ductwork or being too ignorant to do either instead of simply stating there is a right way to do these things I am offended. and should be. My day is fine, I just feel our industry has taken a beating from the High Performance industry unjustifiably. I do understand and in trained in all facets of the aforementioned above and work hand in hand with reputable people designing for Passivhaus, Earthcraft etc. I ran my first manual J in 1978, I performed my first ductblaster test in 1985 and have worked in all sorts of High Performance Homes for years. We all had a great time and mutual respect for one another. In recent years it seems as the first thing on many from the Building Science Community's agenda is to discredit the HVAC industry as a group. And I am offended. Tim H.: I still don't know why you got a bee in your bonnet about people berating the HVAC industry. I've certainly done that in other articles, and as Curt Kinder said above, it's well deserved. But the article above is about data I collected showing that leaving the fan in the on position raises the RH in a humid climate. As far as I can tell, you're upset by David Butler's comment, but I don't see any reason for it. He wasn't criticizing the HVAC industry or you. All he said was that your statement about people in Virginia running the fan continuously and seeing reduced RH wasn't logical. And it's not. The data I showed above aren't the only data showing this. It's been done numerous times with the result that the RH in the home increases when you put the fan in the on position instead of auto. If you want to be offended, that's your choice. It seems to be based more on your previous experiences than anything that happened here in the comments of this article, though. Based on what you've said about your background, I imagine you're one of the all-too-few HVAC contractors out there who may be doing things right. So why get in a huff if someone did (although they didn't do it here) lambaste the HVAC guys who make a mess of things? Tim wrote: "There are also many HERS RATERs and building scientists who have little knowledge in their field and make a lot of messes." Absolutely true. And home performance forums like the one I mange on LinkedIn are filled with discussions critiquing poorly trained and/or inexperienced field professionals, and rebuttals to ill-advised design strategies, etc. Equal opportunity lambasting. But this is how we raise the bar. There are plenty of problems wherever you look. I agree with John that this is a very good paper on this topic. Although it does clearly explain the humidity issues related to continuous fan operation, it also shows that the latent capacity of coils is very good at start up, in fact, Figure 1 shows that the latent performance reaches full capacity sooner than the sensible performance. Roy wrote: "Figure 1 shows that the latent performance reaches full capacity sooner than the sensible performance." I wouldn't read too much into that graph since the point was to show what happens at the end of a cooling cycle. Also, it wasn't stated what the start-up conditions were. As you noted in a previous comment, this can happen when coil is still wet from a previous cycle. No surprise there. I wouldn't disregard the beginning of this graph. These capacities were calculated from air-side temperature and humdiity measurements, not condensate drain measurements. We did similar testing, and it doesn't matter if the coil is initially wet or dry, latent capacity respond as fast as sensible capacity at start up. Roy wrote: "it doesn't matter if the coil is initially wet or dry, latent capacity respond[s] as fast as sensible capacity at start up." I don't see how that's possible. When the coil is dry, there's going to be a delay before latent kicks in relative to sensible, even if less than a minute. I'm sure you know that so I'm puzzled by your comment that latent reaches full capacity faster than sensible in the general case. We can play tricks with delay timers and variable speed blowers to speed up latent vs sensible ramp-up at the beginning of a cycle, but none of that is addressed in Henderson's paper. I don't really believe that latent heat reaches full capacity SOONER than sensible heat, but if anything, that is what is indicated by Figure 1. I think that they both reach full capacity at nearly the same rate regardless of whether the coil is initially we or dry. Why? As soon as the coil surface, wet or dry, reaches the dewpoint temperature of the air, condensation begins. As Figure 1 indicates, it doesn't take long for the coil to cool down. The ONLY time / way it is possible for latent capacity to kick in simultaneously with sensible capacity is if the entering air has 100% RH, in other words dry bulb temp = wet bulb temp = dewpoint. That's a condition rare, to the point of non-existent in HVAC applications other than systems dedicated to 100% outside air operating during rainfall. If RH is anything other then 100%, some sensible cooling by definition must occur before latent cooling begins. To state otherwise demonstrates lack of understanding of psychrometrics - the thermodynamic behavior of mixtures of air and water vapor. Perhaps I do not understand psychrometrics. Perhaps you can explain why Figure 1 shows nearly simultaneous responses for both sensible and latent capacity. I know two of the authors of this study (Henderson and Shirey) and trust their results. I had seen conflicting information from others in the past, so we repeated these experiments and got the same results as Figure 1, with an initially wet or dry coil. The point here is that under typical humid, not necessarily saturated, conditions, the coil temperature drops below the dewpoint of the air quite quickly such that you don't see a significant delay in latent capacity. One of the factors that contribute to this is that moisture condensation is governed by mass transfer rates, not heat transfer rates, and these rates are quite high. Set a cold beer outside on a humid day and condensation starts forming almost immediately. On coils, the latent "capacity" is almost "free". If we test a coil under dry and humid conditions, we get about the same sensible capacity, however, the latent capacity varies directly with the entering inlet air dewpoint once it drops below the coil temperature. Note that I said that the latent "capacity" is free, which means that you do not need a larger coil to get the additional latent capacity. The "energy" still has be paid for with higher refrigerant flow rates and more compressor power. All that makes sense...probably a matter of semantics and theoretical vs measured behavior. It occurs to me one factor in play may be differing temperatures in different locations throughout the coil - Areas where boiling refrigerant is in contact with tubes and the immediate adjacent fin areas likely run cooler than fin edges and tube areas near the suction ends of circuits where refrigerant gas is merely being superheated. I wonder what might be revealed by synchronized time lapse infrared imagery taken of both air entering and air leaving surfaces of an evap coil throughout the progress of a compressor on cycle. I think we have broad agreement about the original thrust of this article - don't run blower constant on if latent performance is important, but do run it for at least several minutes following compressor stop in arid climates where the free evaporative cooling is a benefit.